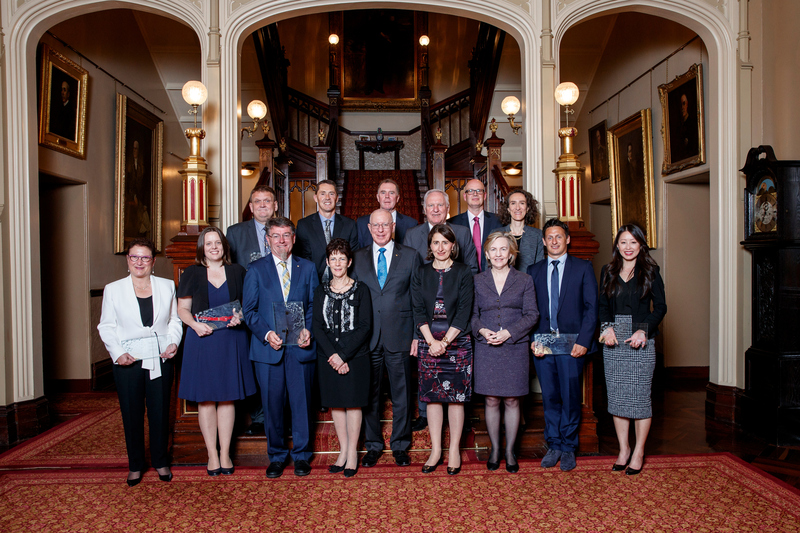 Recipients of the 2017 NSW Premier's Prizes for Science & Engineering (Pictured from Left to Right): Professor Maria Kavallaris; Associate Professor Sarah Johnson; Mr Brett Mckay; Professor Gordon Wallace AO; Dr Wayne O'Connor; Mrs Linda Hurley; His Excellency General The Honourable David Hurley AC DSC (Ret'd), Governor of NSW; Professor Trevor McDougall; The Honourable Gladys Berejiklian MP, Premier of NSW; The Honourable Richard Colless MLC, Parliamentary Secretary for Natural Resources and Western NSW; Professor Edward Holmes; Professor Mary O'Kane, Chief Scientist & Engineer; Professor Sally Dunwoodie; Dr Brett Hallam; and Dr Susan Hua. 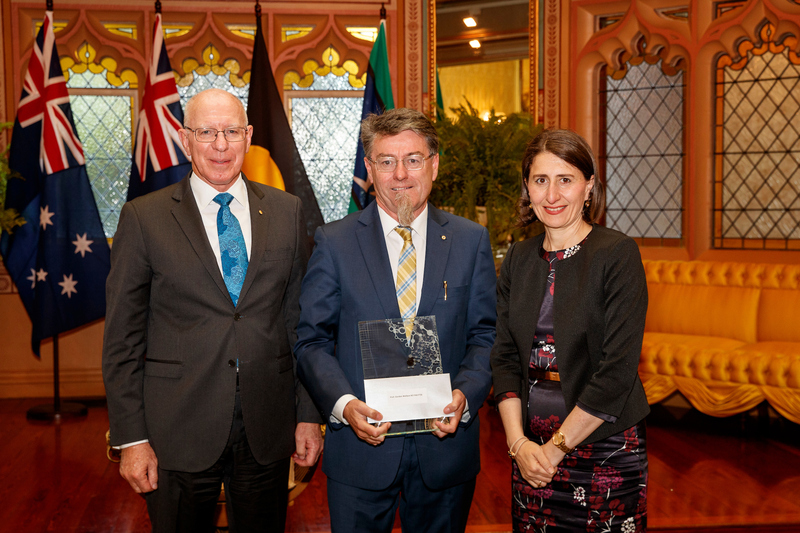 His Excellency General The Honourable David Hurley AC DSC (Ret'd), Governor of New South Wales, NSW Scientist of the Year Professor Gordon Wallace from the University of Wollongong, and The Honourable Gladys Berejiklian MP, Premier of New South Wales. 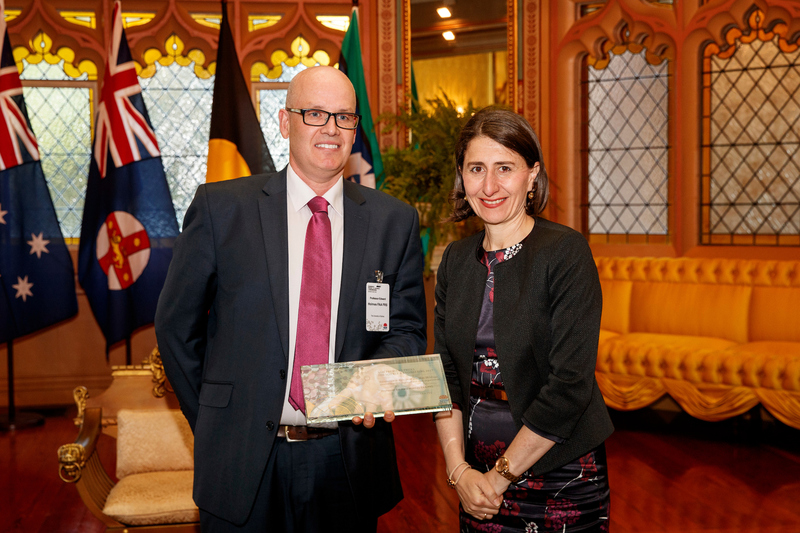 Premier Berejiklian with Professor Trevor McDougall from UNSW Sydney, winner of the NSW Premier's Prize for Excellence in Mathematics, Earth Sciences, Chemistry and Physics. 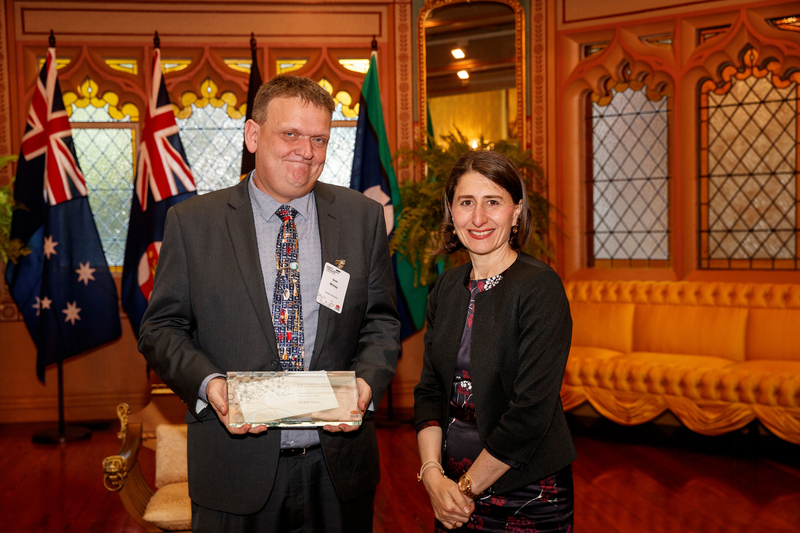 Premier Berejiklian with Professor Eddie Holmes from The University of Sydney, winner of the NSW Premier's Prize for Excellence in Biological Sciences (Ecology, environmental, agricultural and organismal). 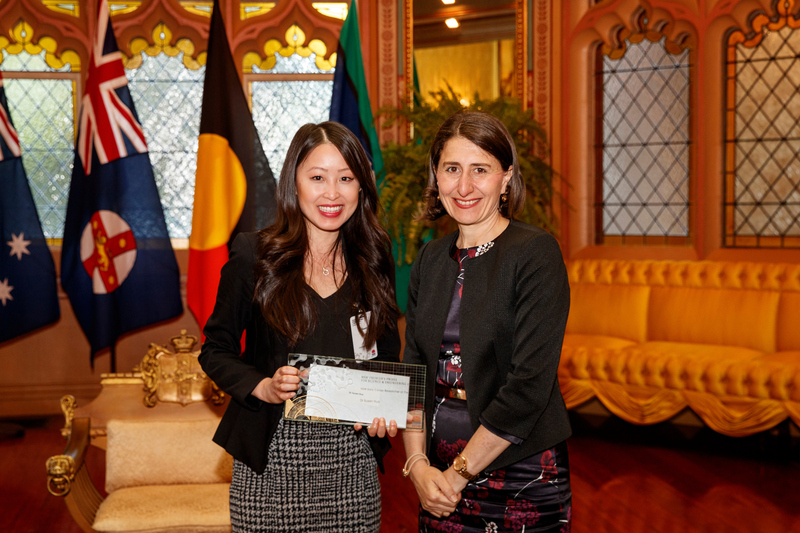 Premier Berejiklian with Professor Sally Dunwoodie from Victor Chang Cardiac Research Institute / UNSW Sydney, winner of the Premier's Prize for Excellence in Medical Biological Sciences (Cell and molecular, medical, veterinary and genetics). 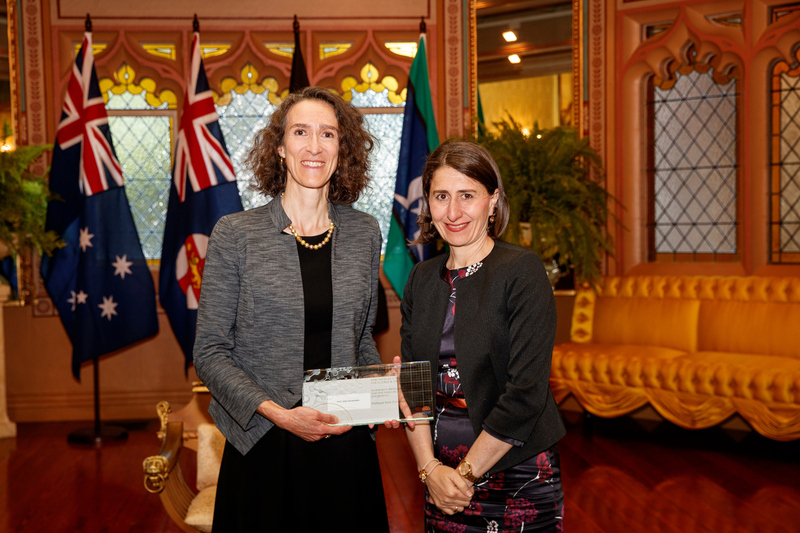 Premier Berejiklian with Associate Professor Sarah Johnson from University of Newcastle, winner of the Premier's Prize for Excellence in Engineering and Information and Communications Technology. 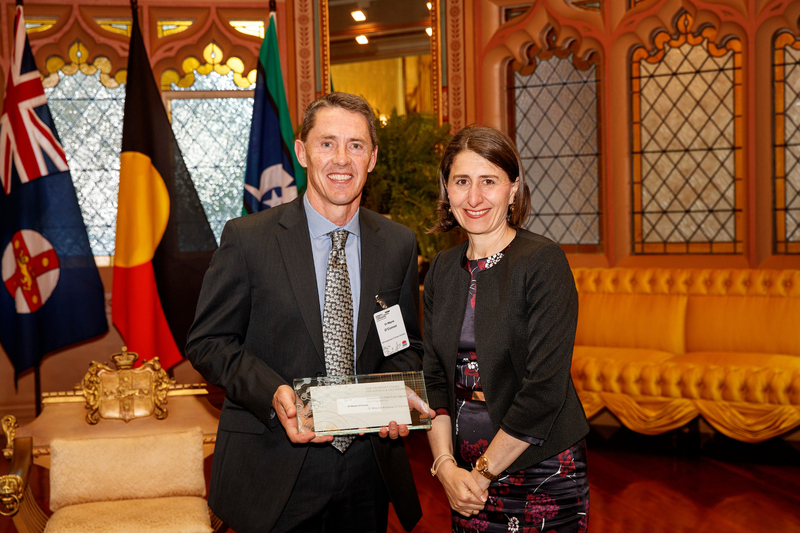 Premier Berejiklian with Dr Brett Hallam from UNSW Sydney, winner of the Premier's Prize for Energy Innovation in NSW. Premier Berejiklian with Dr Susan Hua from University of Newcastle, winner of the Premier's Prize for Early Career Researcher of the Year. 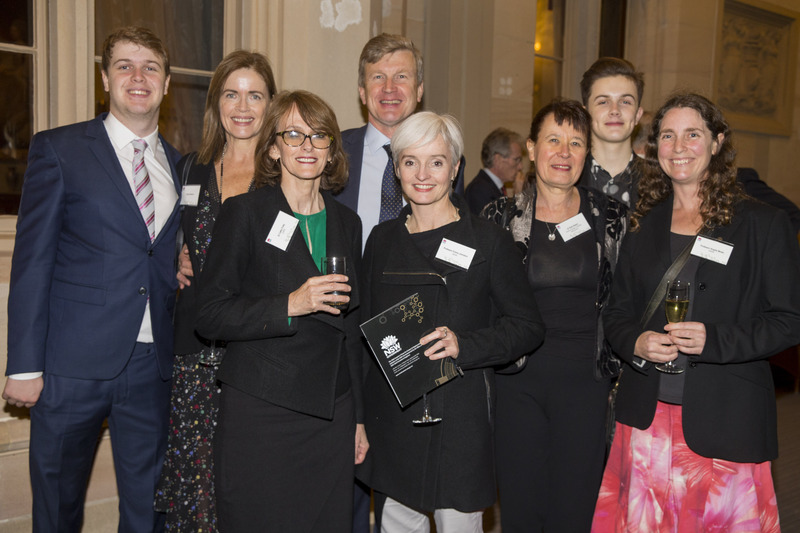 Premier Berejiklian with Professor Maria Kavallaris from UNSW Sydney and the Children's Cancer Institute, winner of the Premier's Prize for Leadership in Innovation in NSW. 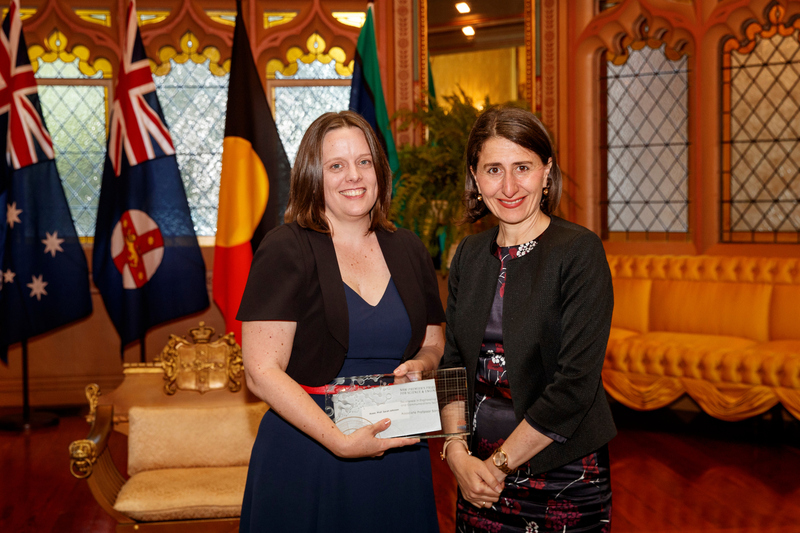 Premier Berejiklian with Dr Wayne O'Connor from the NSW Department of Primary Industries, winner of the Premier's Prize for Innovation in NSW Public Sector Science and Engineering. 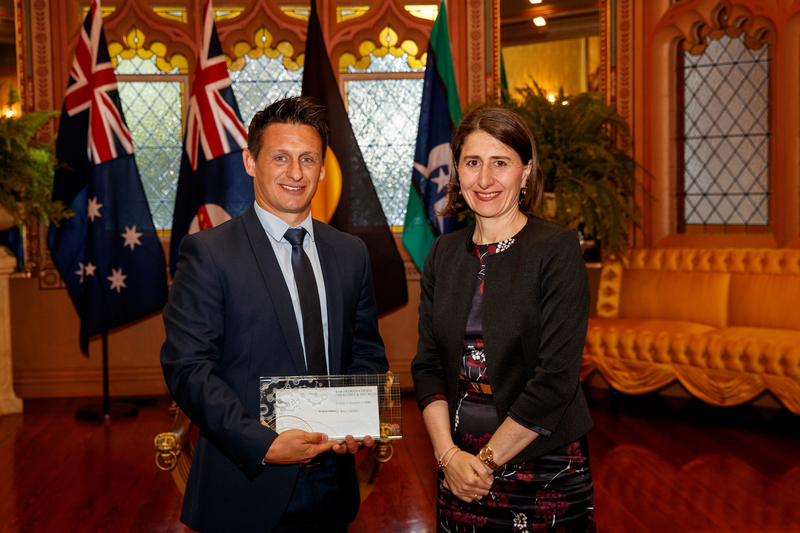 Premier Berejiklian with Mr Brett Mckay, winner of the Premier's Prize for Innovation in Science and Mathematics Education in NSW. 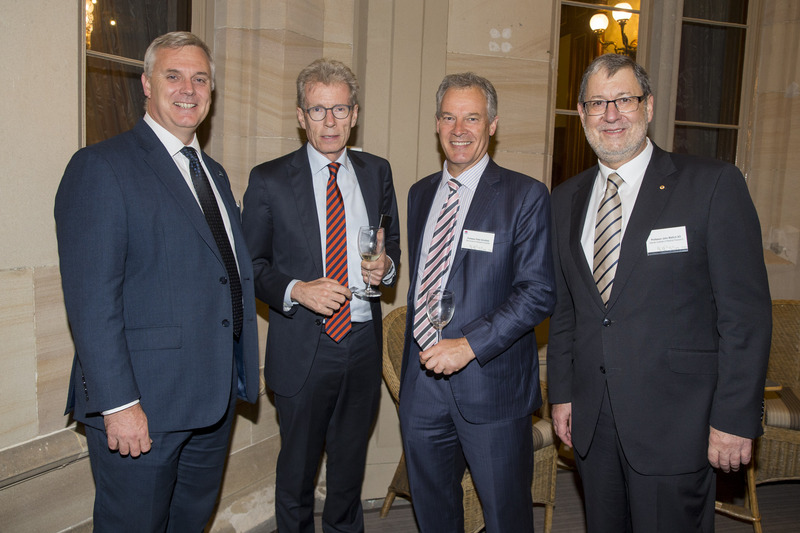 2016 NSW Premier's Prizes for Science & Engineering recipients (Pictured from Left to Right): NSW Minister for Industry, Resources & Energy The Honourable Anthony Roberts MP; Professor Joss Bland-Hawthorn; Professor Mike Archer AM; Dr Muireann Irish; NSW Governor His Excellency General The Honourable David Hurley AC DSC (Ret'd); Mrs Nikki Zimmerman; Dr Elizabeth New; Professor Toby Walsh; NSW Scientist of the Year, Professor Rick Shine AM; Dr Lukas Van Zwieten; NSW Premier The Honourable Mike Baird MP; Professor David James; Laureate Professor Kevin Galvin; NSW Chief Scientist & Engineer Professor Mary O'Kane. 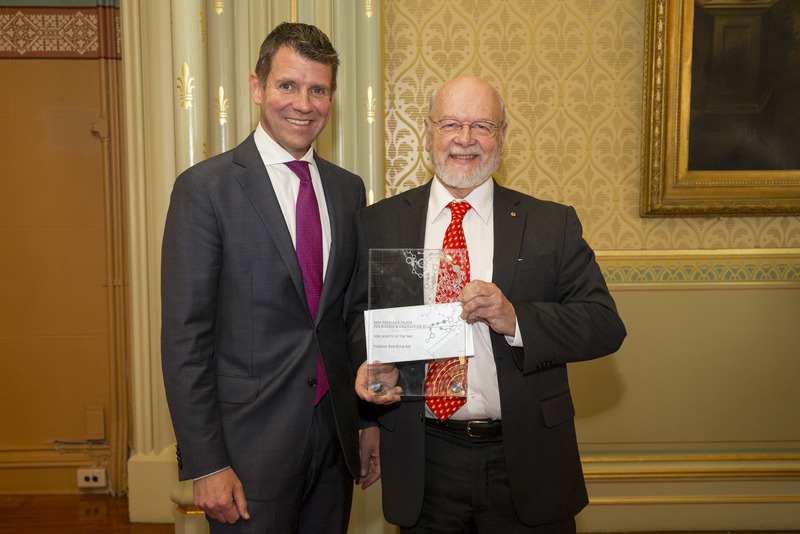 Premier Mike Baird with 2016 NSW Scientist of the Year, Professor Rick Shine AM. 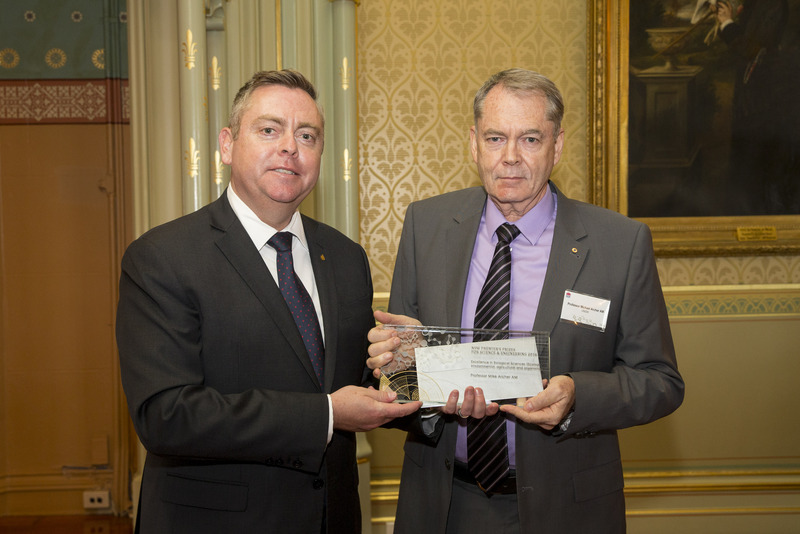 NSW Minister for Industry, Resources & Energy The Honourable Anthony Roberts MP with Professor Joss Bland-Hawthorn, winner of the NSW Premier's Prize for Excellence in Mathematics, Earth Sciences, Chemistry and Physics. 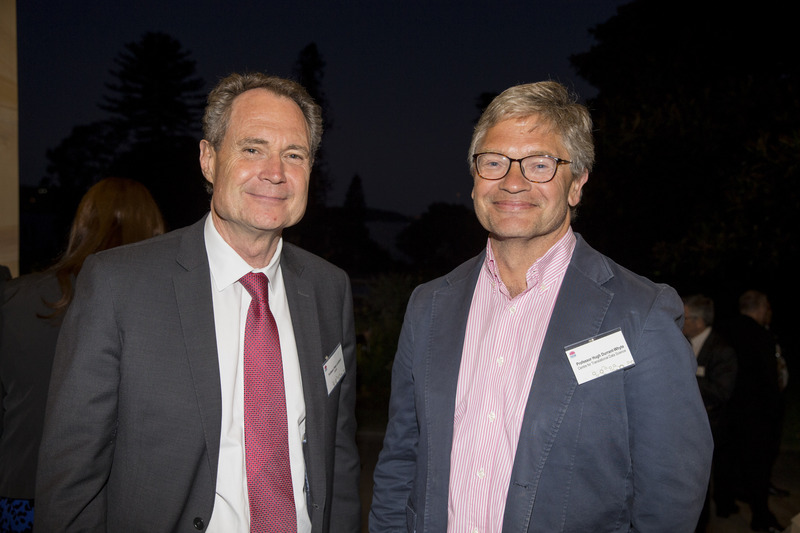 Minister Roberts with Professor Mike Archer AM, winner of the NSW Premier's Prize for Excellence in Biological Sciences (Ecology, Environmental, Agricultural and Organismal). 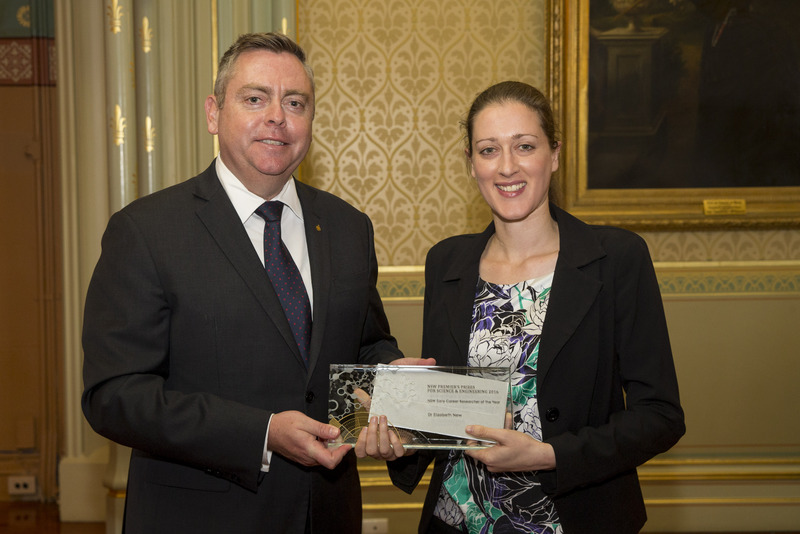 Minister Roberts with Professor David James, winner of the NSW Premier's Prize for Excellence in Biological Sciences (Cell and Molecular, Medical, Veterinary and Genetics). 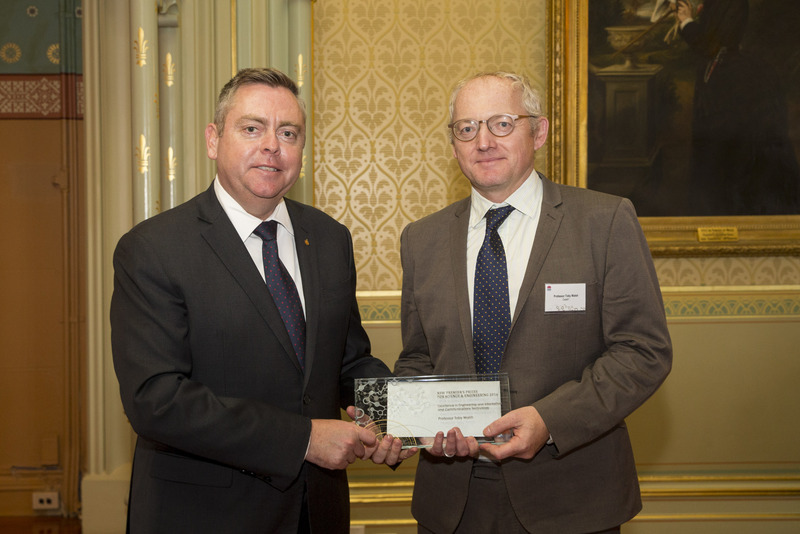 Minister Roberts with Professor Toby Walsh, winner of the NSW Premier's Prize for Excellence in Engineering and Information & Communications Technologies. 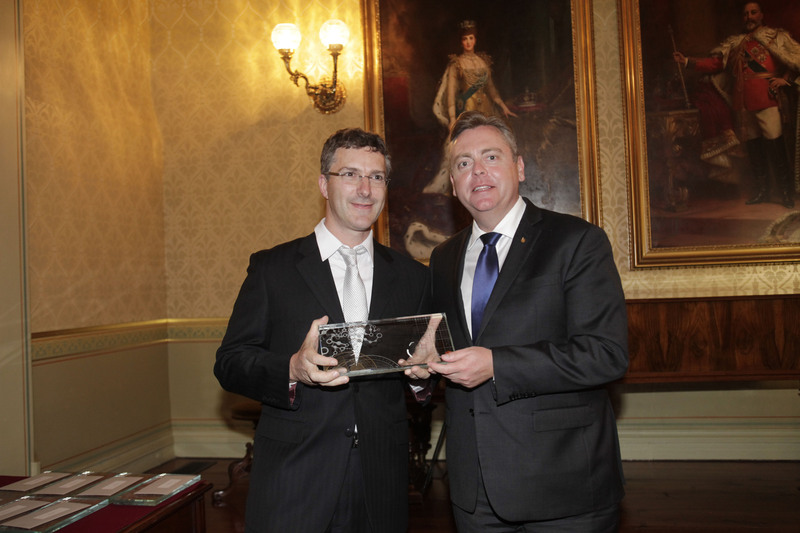 Minister Roberts with Laureate Professor Kevin Galvin, winner of the NSW Premier's Prize for Energy Innovation in NSW. 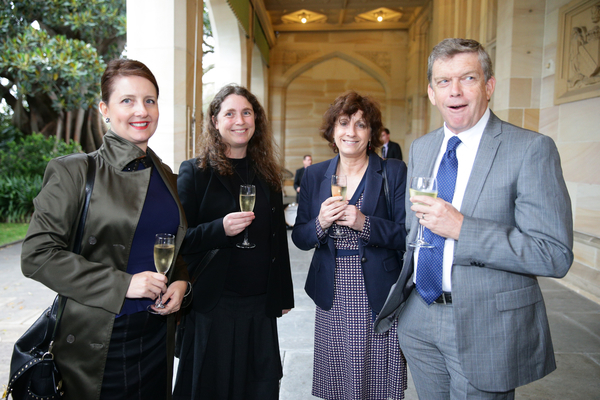 Minister Roberts with NSW Early Career Researchers of the Year, Dr Elizabeth New (above) and Dr Muireann Irish (below). 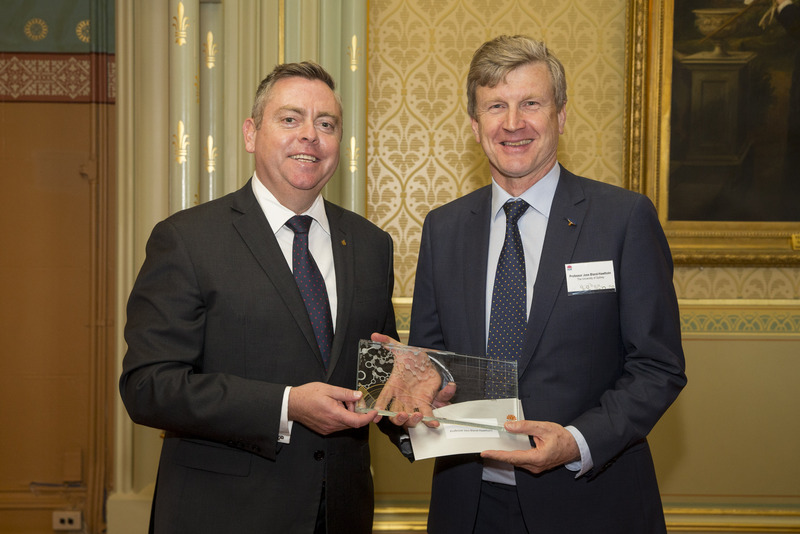 Minister Roberts with Dr Lukas Van Zwieten, winner of the NSW Premier's Prize for Innovation in Public Sector Science & Engineering. 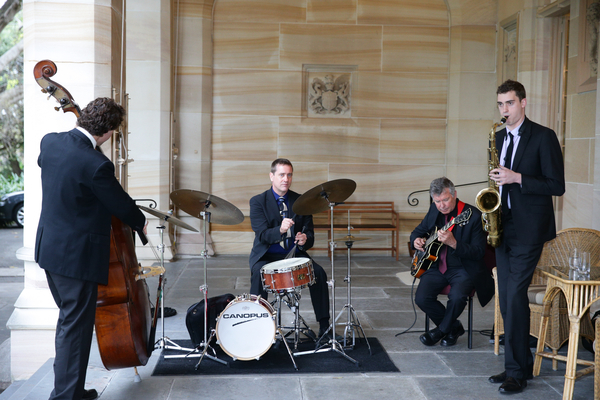 The State's R&D community celebrates the 2016 NSW Premier's Prizes for Science & Engineering at Government House, Sydney. 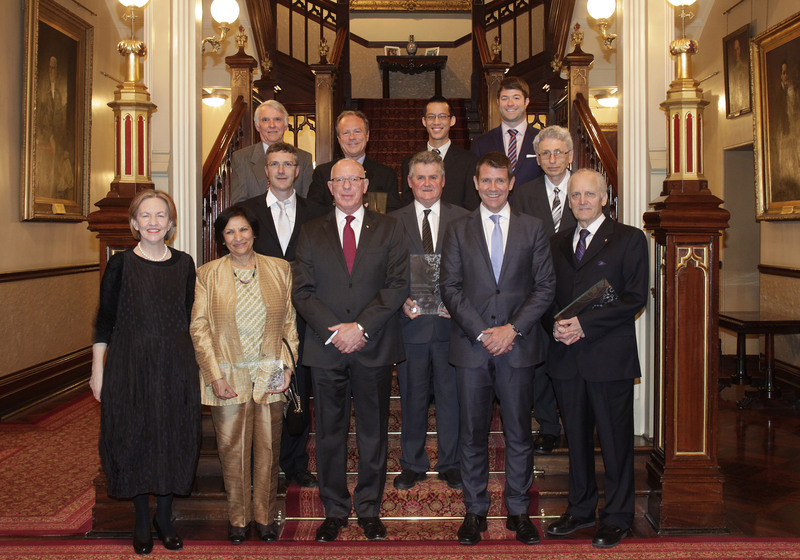 2015 NSW Premier's Prizes for Science & Engineering recipients (Pictured from Left to Right): NSW Chief Scientist & Engineer Professor Mary O'Kane; Ms Sheila Pooviah; Emeritus Professor John Patrick; Professor Christoph Arns; NSW Governor His Excellency General The Honourable David Hurley AC DSC (Ret'd); Scientia Professor Mark Bradford; Laureate Professor Scott Sloan; Mr Eddie Woo; NSW Premier The Honourable Mike Baird MP; Dr Michael Bowen; Scientia Professor Victor Flambaum; and Scientia Professor George Paxinos AO. 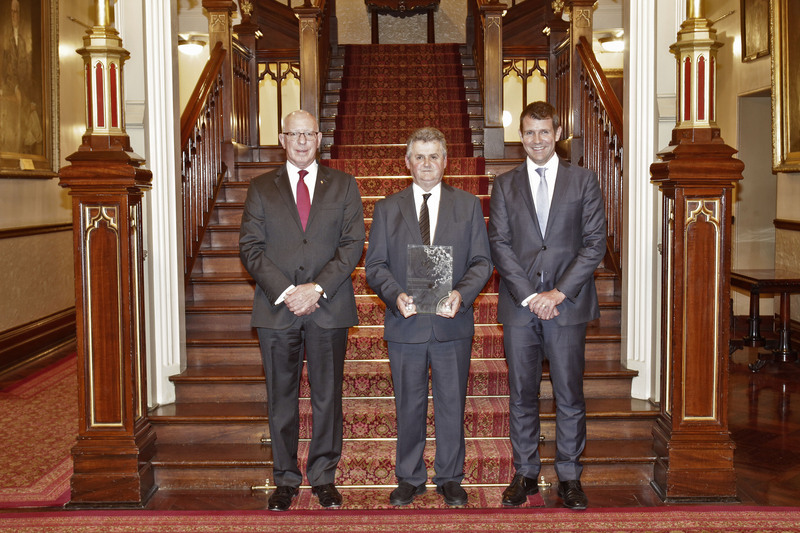 2015 NSW Scientist of the Year, Laureate Professor Scott Sloan (centre), with NSW Governor His Excellency General The Honourable David Hurley AC DSC (Ret'd) (left) and NSW Premier The Honourable Mike Baird MP (right) at Government House, Sydney. 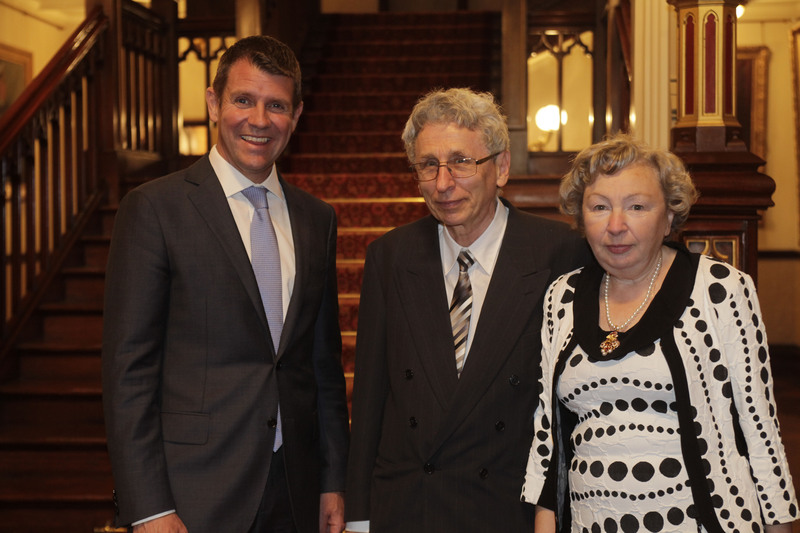 Premier Mike Baird with the winner of the Excellence in Mathematics, Earth Sciences, Chemistry and Physics category, Scientia Professor Victor Flambaum, and his wife at Government House, Sydney. 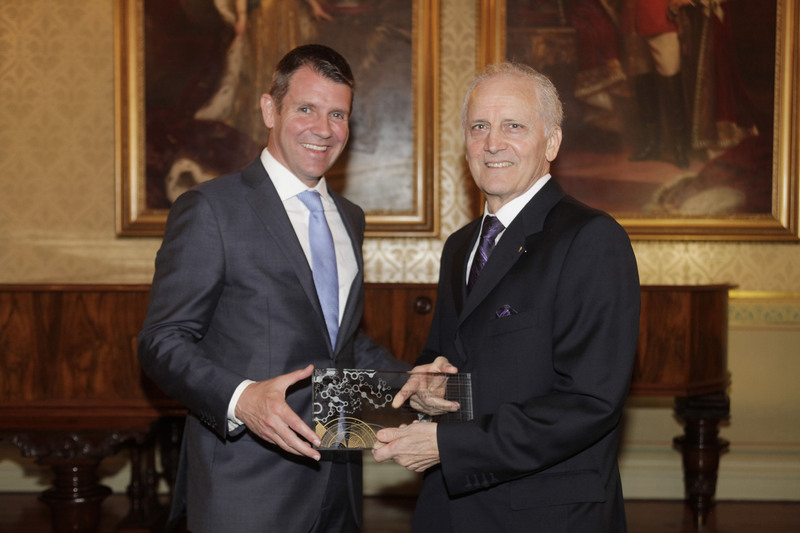 Premier Mike Baird with the winner of the Excellence in Biological Sciences (Ecology, environmental, agricultural, organismal) category, Emeritus Professor John Patrick at Government House, Sydney. 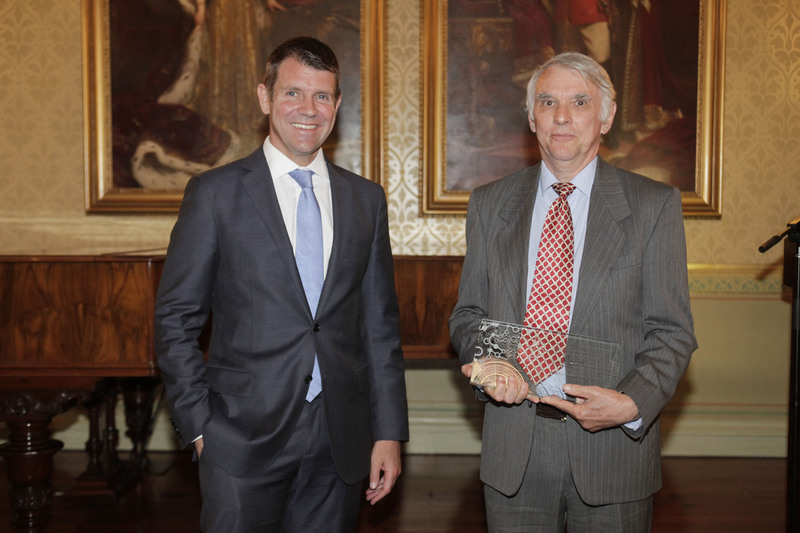 Premier Baird with the winner of the Excellence in Medical Biological Sciences (Cell and molecular, medical, veterinary and genetics) category, Scientia Professor George Paxinos AO, at Government House, Sydney. 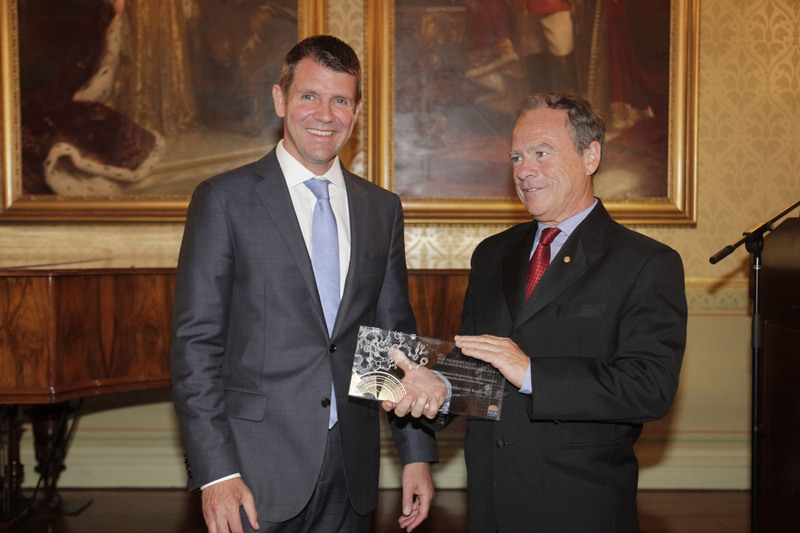 Premier Baird with the winner of the Excellence in Engineering and Information and Communications Technologies category, Scientia Professor Mark Bradford, at Government House, Sydney. 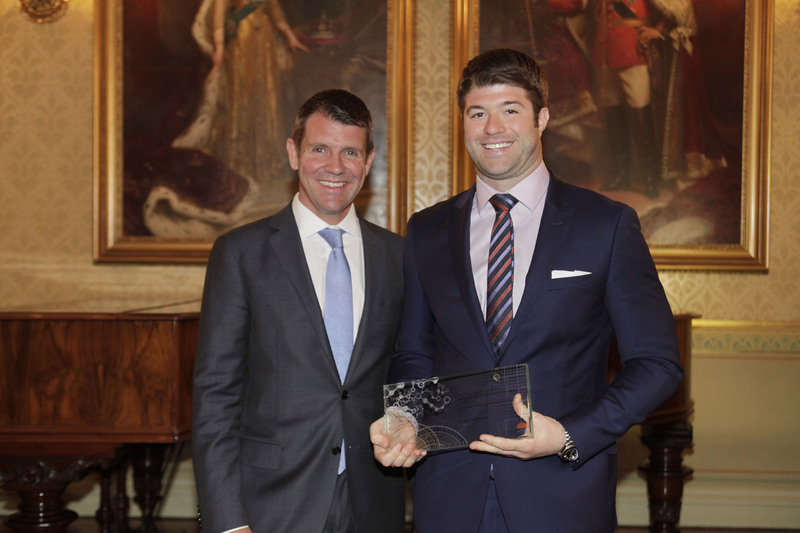 Premier Baird with the 2015 NSW Early Career Researcher of the Year, Dr Michael Bowen, at Government House, Sydney. Minister for Industry, Resources and Energy, The Hon. 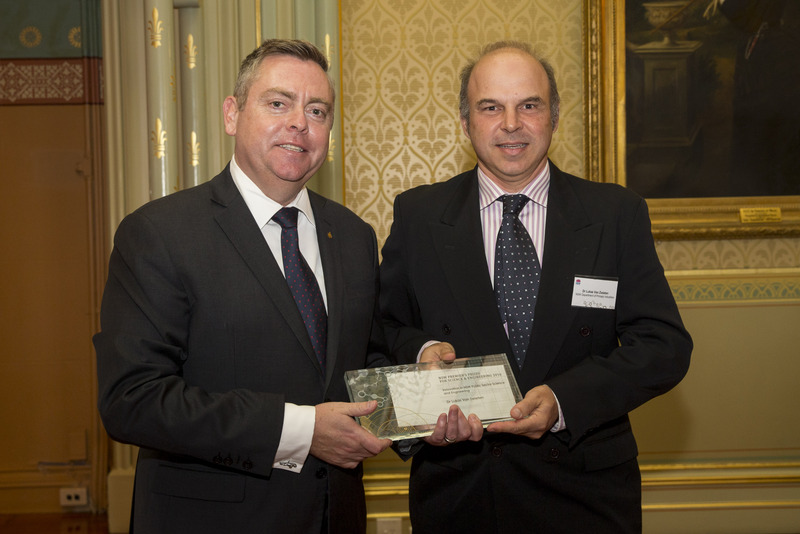 Anthony Roberts MP (right), with winner of the Leadership in Innovation in NSW category, Professor Christoph Arns. 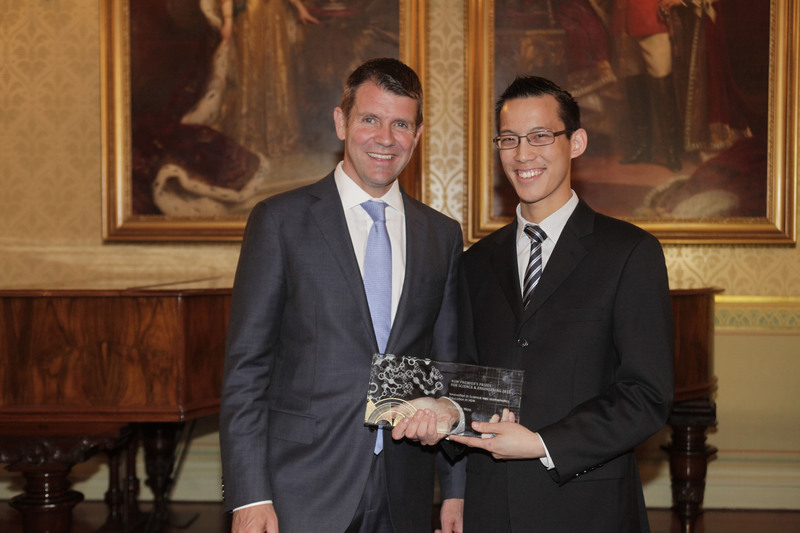 Premier Baird with the joint winners of the Innovation in Science and Mathematics Education in NSW category, Ms Sheila Pooviah of James Ruse Agricultural High School (above), and Mr Eddie Woo from Cherrybrook Technology High School (below). 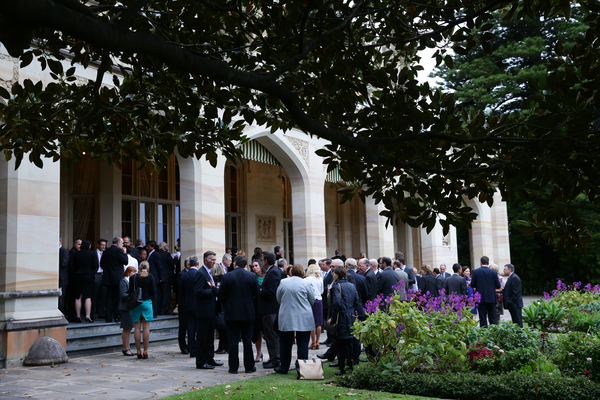 Guests gather at Government House, Sydney, for the 2015 NSW Premier's Prizes for Science & Engineering. 2014 NSW Science & Engineering Awards prize winners (Pictured from Left to Right): Ms Alice Leung; Professor Behdad Moghtaderi; Professor Kostya (Ken) Ostrikov; Professor Nicholas Talley; Dr Peter Freewater; NSW Governor His Excellency General The Honourable David Hurley AC DSC (Ret'd); Associate Professor Andrea Morello; Professor Mark Westoby; NSW Chief Scientist & Engineer Professor Mary O'Kane; Secretary of NSW Trade & Investment, Mr Mark Paterson; Professor Benjamin Oldroyd; Professor Salah Sukkarieh; NSW Parliamentary Secretary for Renewable Energy, Ms Leslie Williams MP. 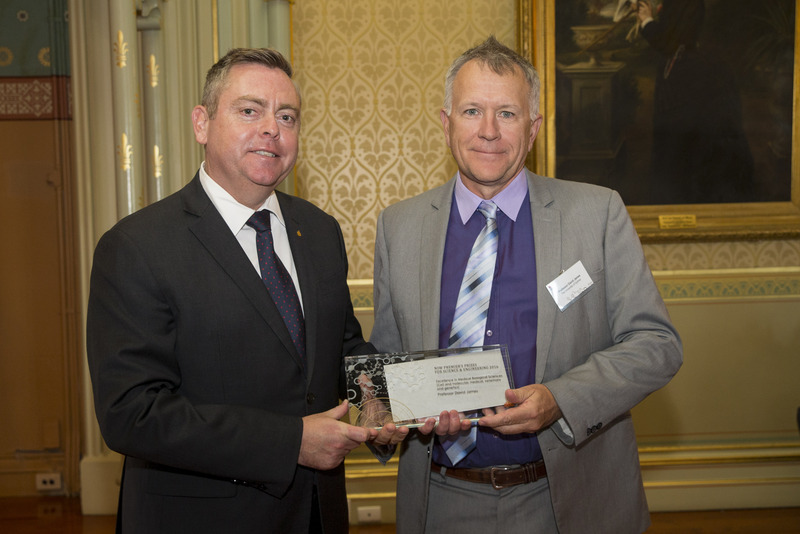 2014 NSW Scientist of the Year, Professor Mark Westoby, with NSW Chief Scientist & Engineer Professor Mary O'Kane at Government House. 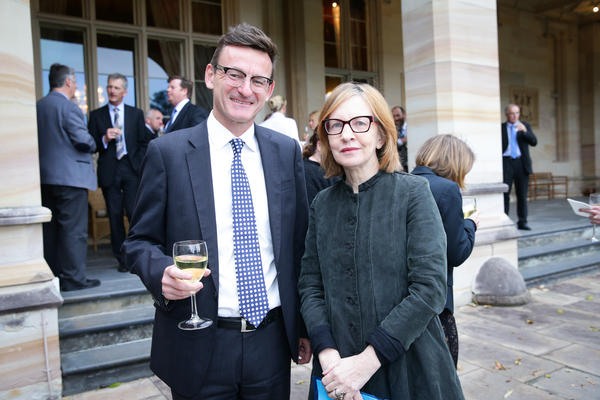 Professor Kostya Ostrikov with Professor Mary O'Kane at Government House. 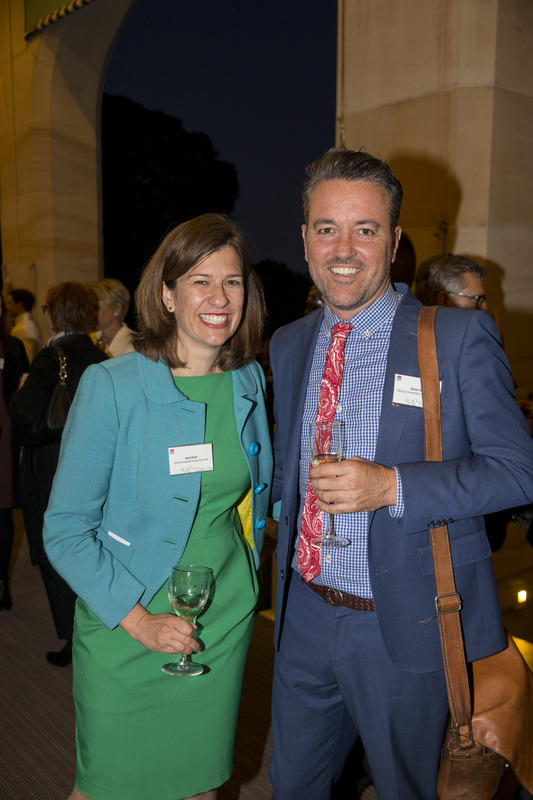 Professor Benjamin Oldroyd and Professor Mary O'Kane at Government House. 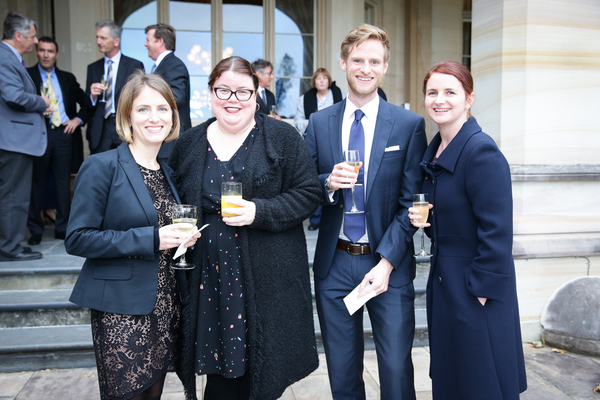 Professor Nicholas Talley and Professor Mary O'Kane at Government House. 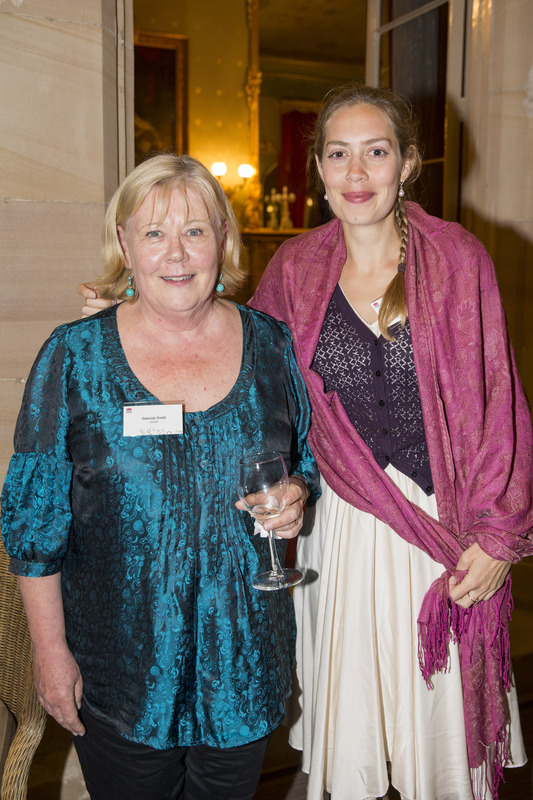 Professor Salah Sukkarieh and Professor Mary O'Kane at Government House. 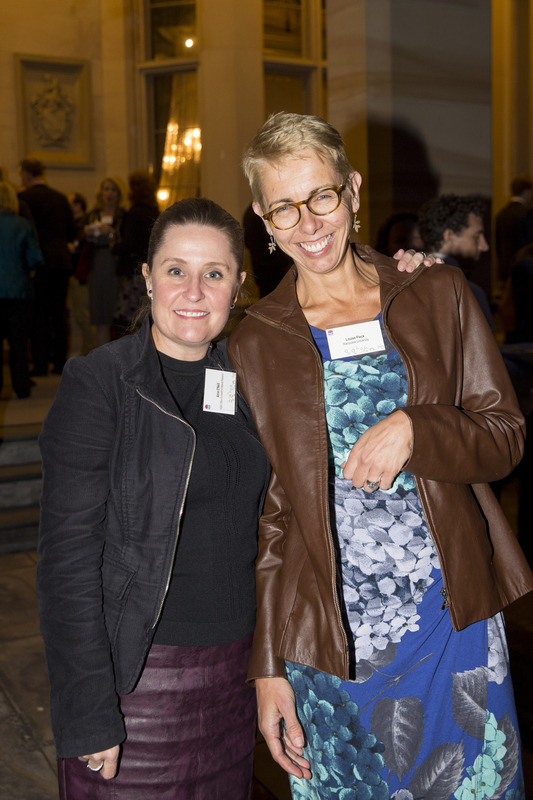 Professor Andrea Morello with Professor Mary O'Kane at Government House. 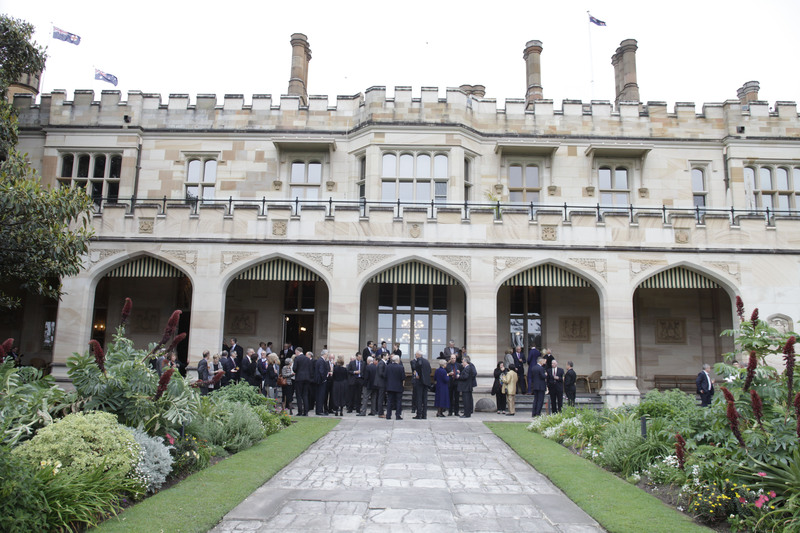 Professor Behdad Moghtaderi and Professor Mary O'Kane at Government House. 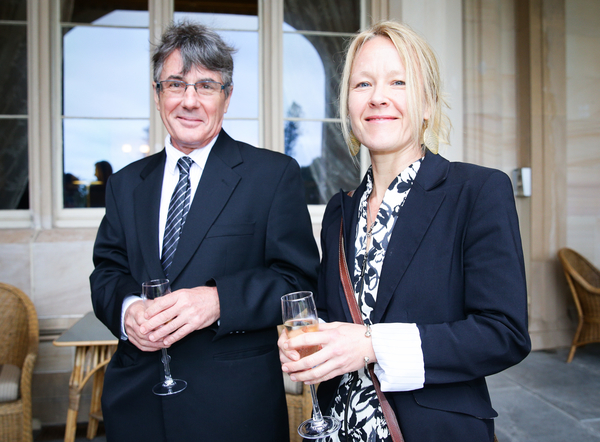 Dr Peter Freewater and Professor Mary O'Kane at Government House. 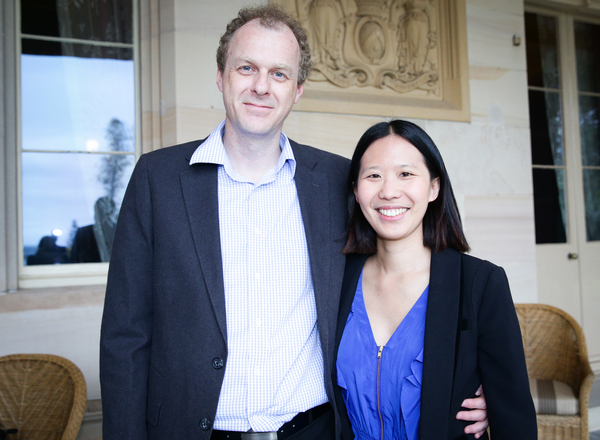 Ms Alice Leung with Professor Mary O'Kane at Government House. 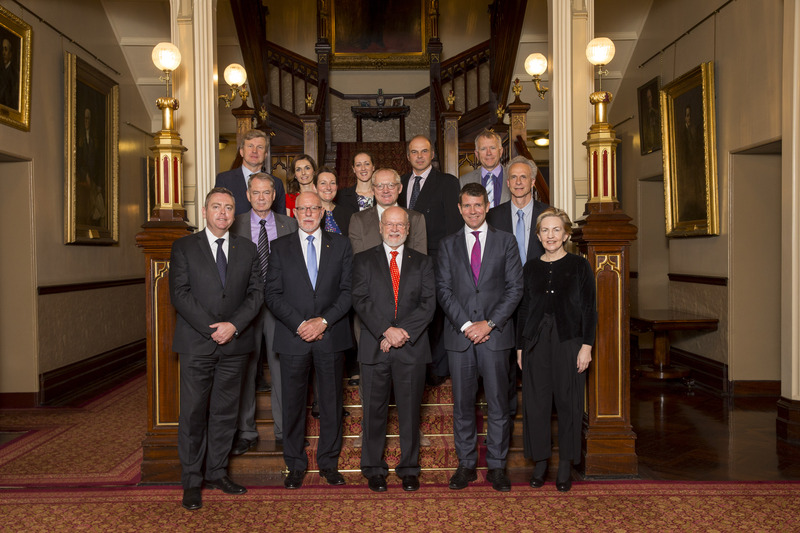 2013 Prize Winners (left to right - below): Professor Thomas Maschmeyer; Professor Robert Park, NSW Chief Scientist & Engineer, Professor Mary O'Kane; Adjunct Professor Harvey Dillon; Laureate Professor Graeme Jameson; Scientia Professor Justin Gooding; NSW Governor, Her Excellency Professor Marie Bashir AC CVO; Professor Martina Stenzel; Professor John Webb; Professor Katharina Gaus; and Ms Nicolette Hilton. 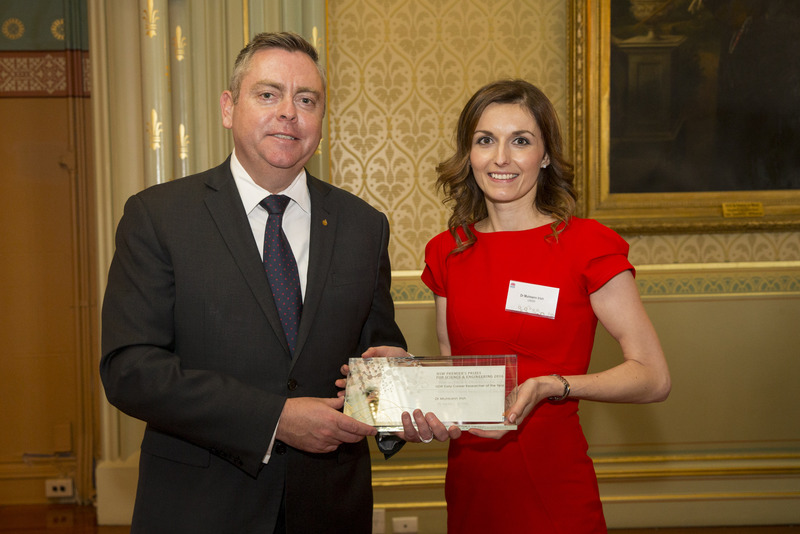 NSW Governor, Her Excellency Professor Marie Bashir AC CVO, with Laureate Professor Graeme Jameson, who was named 2013 NSW Scientist of the Year. 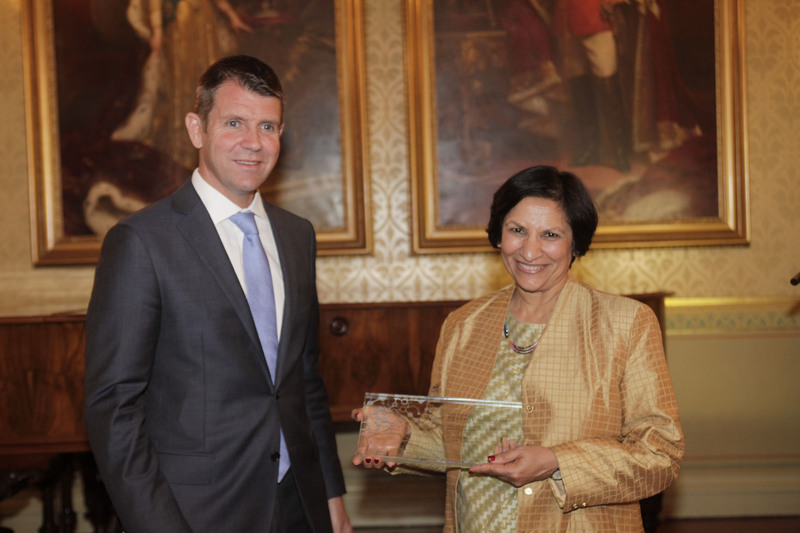 NSW Governor, Her Excellency Professor Marie Bashir AC CVO, with Professor John Webb, who received the award for Excellence in Mathematics, Earth Sciences, Chemistry and Physics. NSW Governor, Her Excellency Professor Marie Bashir AC CVO, with Professor Robert Park, who received the award for Excellence in Biological Sciences (Ecology, environmental, agricultural and organismal). 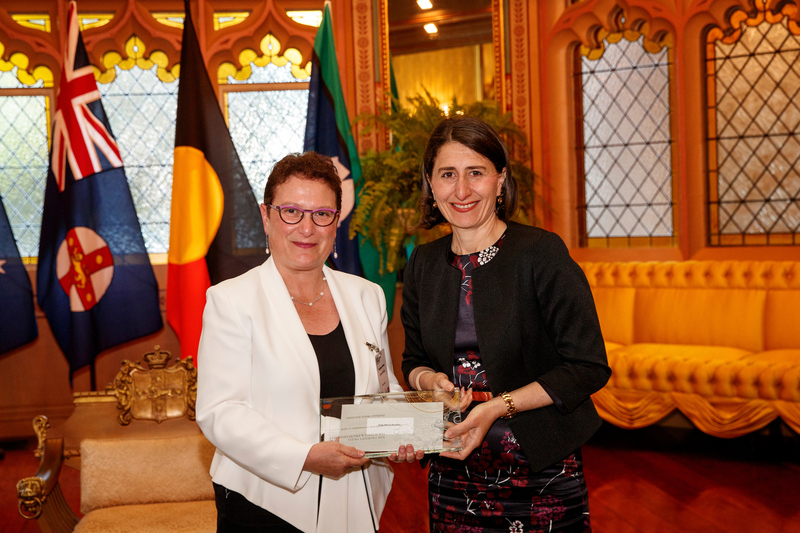 NSW Governor, Her Excellency Professor Marie Bashir AC CVO, with Professor Katharina Gaus, who received the award for Excellence in Biological Sciences (Cell and molecular, medical, veterinary and genetics). 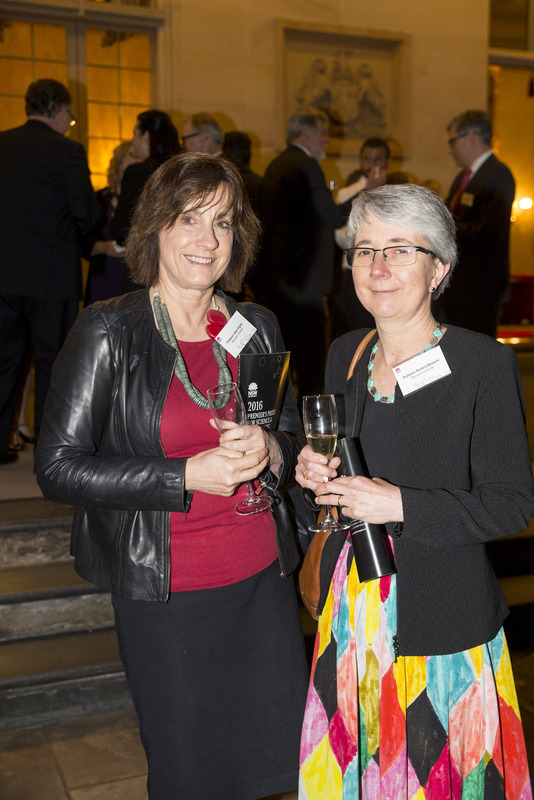 NSW Governor, Her Excellency Professor Marie Bashir AC CVO, with Professor Martina Stenzel, who received the award for Excellence in Engineering and Information and Communications Technologies. 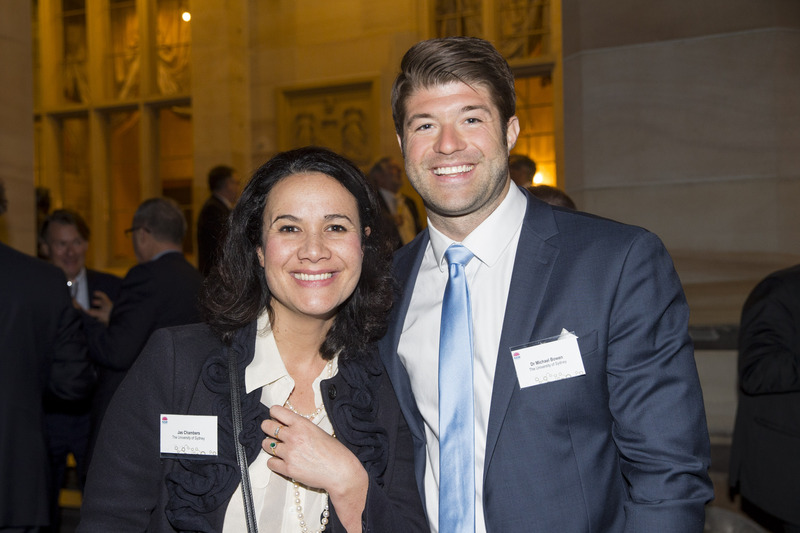 NSW Governor, Her Excellency Professor Marie Bashir AC CVO, with Scientia Professor Justin Gooding, who received the award for Emerging Research. 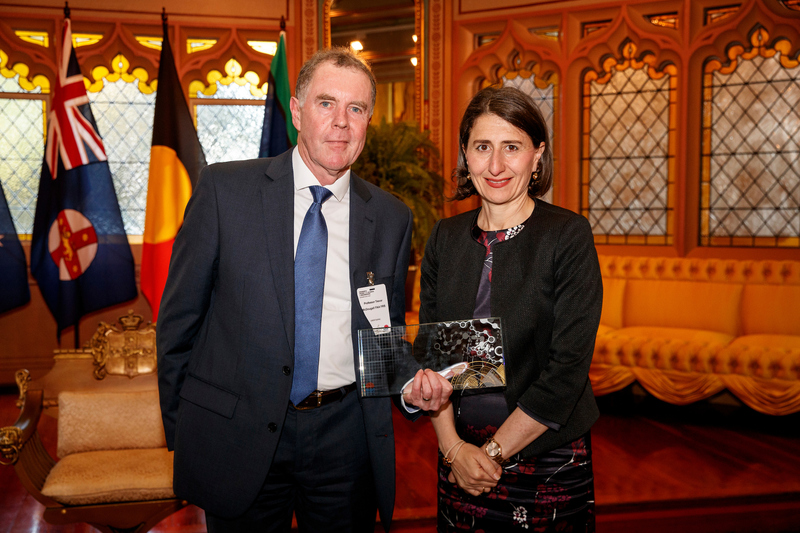 NSW Governor, Her Excellency Professor Marie Bashir AC CVO, with Professor Thomas Maschmeyer, who received the award for Renewable Energy Innovation. NSW Governor, Her Excellency Professor Marie Bashir AC CVO, with Adjunct Professor Harvey Dillon, who received the award for Innovation in Public Sector Sciences and Engineering. NSW Governor, Her Excellency Professor Marie Bashir AC CVO, with Ms Nicolette Hilton, who received the award for Innovation in Science and Mathematics Education. 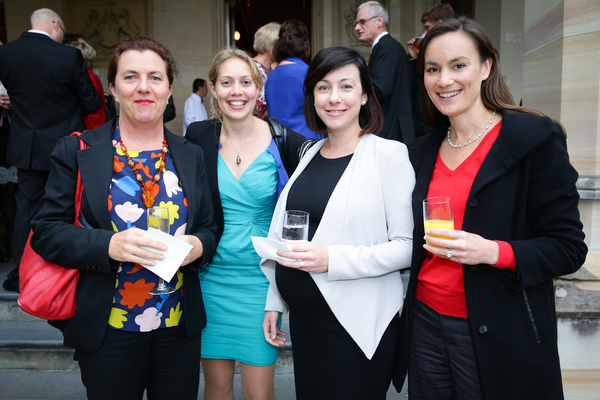 NSW Chief Scientist & Engineer, Professor Mary O'Kane, at the 2013 NSW Science and Engineering Awards at Government House, Sydney. NSW Governor, Her Excellency Professor Marie Bashir AC CVO, welcomes guests to the 2013 NSW Science and Engineering Awards at Government House, Sydney. University of Newcastle Vice Chancellor, Professor Caroline McMillen, with 2013 Scientist of the Year, Laureate Professor Graeme Jameson, and 2012 Scientist of the Year, Laureate Professor John Aitken. 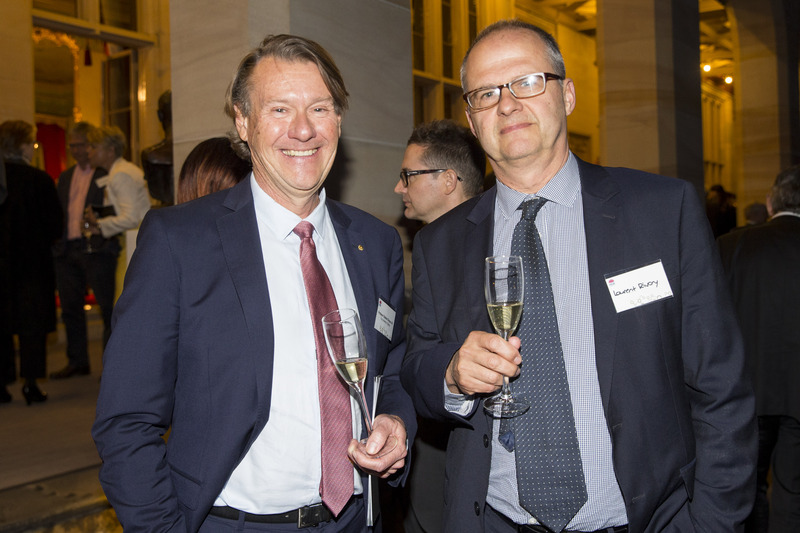 It's the second straight year the University of Newcastle has taken out the top gong at the NSW Science and Engineering Awards. 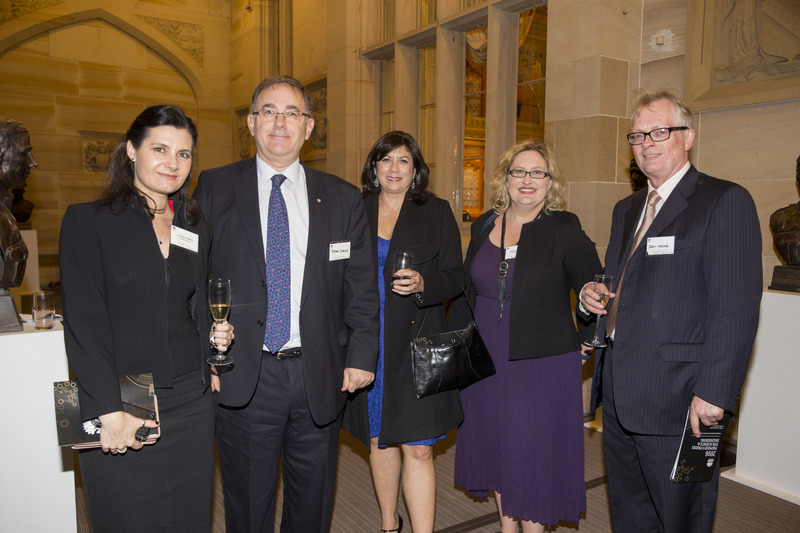 UNSW prize winners at the 2013 NSW Science & Engineering Awards (from left to right): Scientia Professor Justin Gooding; Professor John Webb, Professor Katharina Gaus, Professor Martina Stenzel with UNSW's Strategic Development Manager (Prizes and Awards) Paul Ashworth. 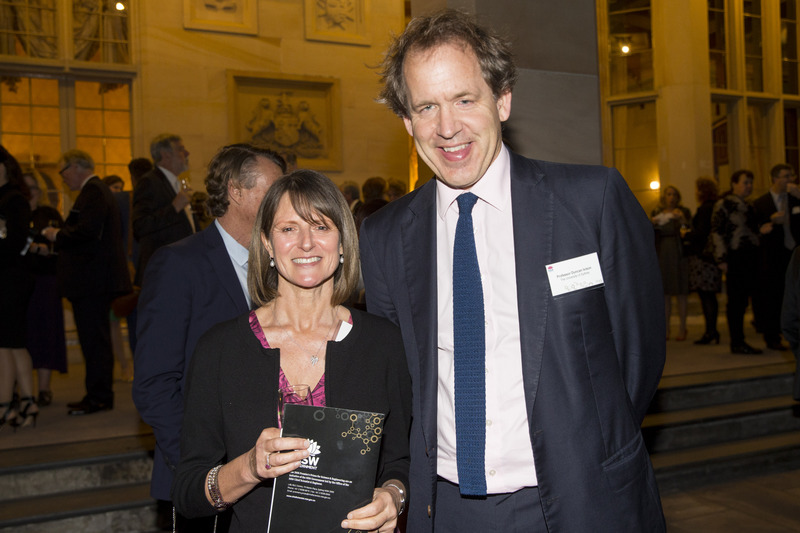 2013 NSW Scientist of the Year, Laureate Professor Graeme Jameson, with NSW Chief Scientist & Engineer, Professor Mary O'Kane. 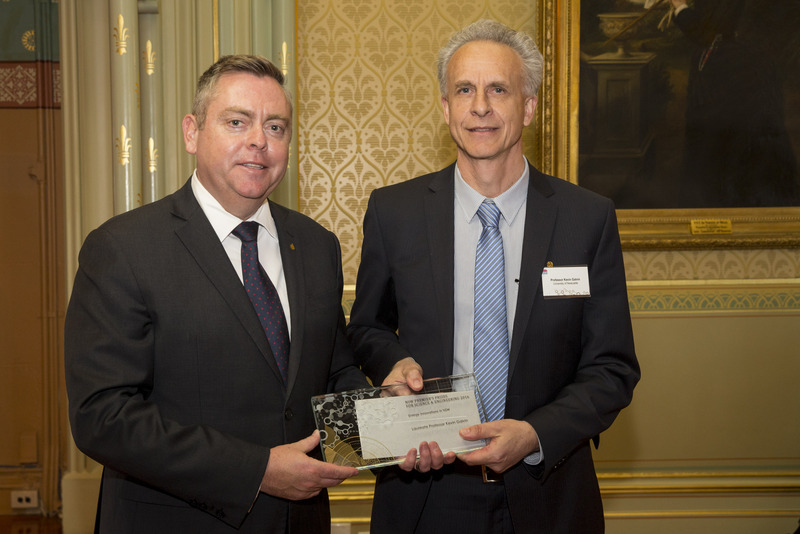 2013 NSW Scientist of the Year, Laureate Professor Graeme Jameson, with NSW Governor, Her Excellency Professor Marie Bashir AC CVO. 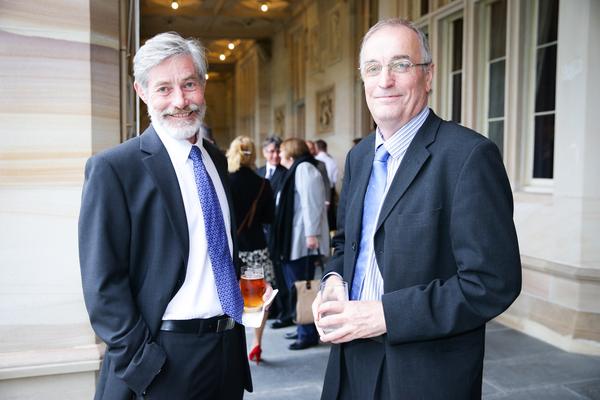 2013 NSW Scientist of the Year, Laureate Professor Graeme Jameson, at Government House in Sydney. 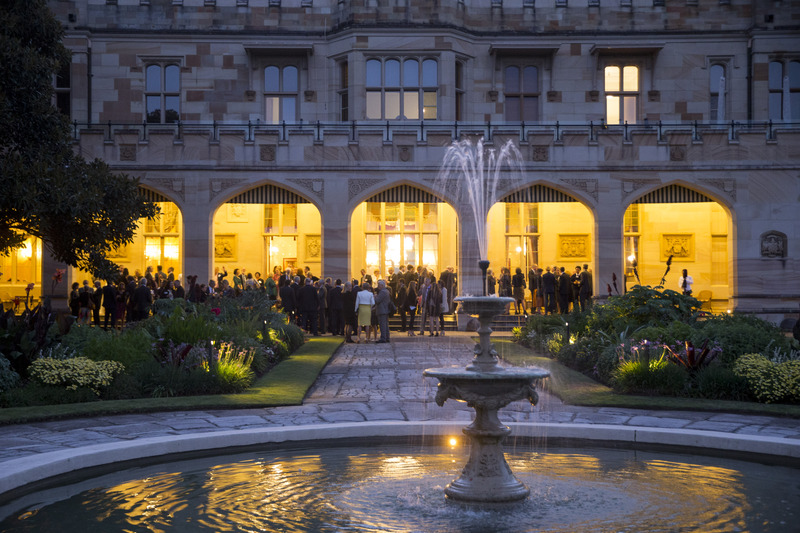 The reception at Government House, Sydney, for the 2013 NSW Science & Engineering Awards.